#DriveTime Protest | Is This Mutton? This post might not make sense to many of you (particularly US readers) but indulge me while I share a letter I've sent to the Director-General of the BBC, Tony Hall, in protest at the changes made to the Radio 2 Simon Mayo #DriveTime programme. If you also feel strongly about this, please sign the petition. Keep up the pressure on the BBC by sending complaints. There is also a friendly Facebook group here. I’m afraid I am another of the BBC Radio 2 #DriveTime whingers, the people you assumed would “move on” or go away after our favourite show was dramatically changed. I am writing to you by snail mail because the widespread protests on social media don’t seem to be eliciting much response from you, Ms Bulford, Mr Shennan and Mr Carnie. I imagine your social media moderators and PR teams have been keeping you appraised of the ongoing furore and there are all sorts of “defcon” meetings happening in conference room Frankie Howerd. It was a sad day for me last Thurs when, faced with my usual 60 mile drive from work, (a senior marketing post I took up a year ago – showing that 50-somethings are not change averse) I couldn’t face the strident tones of Jo Whiley any longer, despite giving the revamped show a 10 week chance. A drive time show has to have some special ingredients for the frazzled commuter. Simon Mayo and team had delivered this in spades, to audiences of millions. That audience is dwindling by the day, as I’m sure you’re already aware. After a stressful day I want to imagine myself in the studio on a Thursday with Nigel Barden cooking up a storm. I can just imagine the fragrant smells. I want to guffaw with laughter, as I’m stuck in yet another tailback on the M11, as Matt and Bobbie “corpse” at Simon’s put-on accents in the Confession. I really don’t want to have “new music” rammed down my throat or another interview with a band flogging a new album. I don’t want to squirm with embarrassment at Jo Whiley’s lack of empathy during interviews with normal people who aren’t musicians. And even the Confession has turned into a rushed damp squib. Simon has lost all his sparkle next to his humourless assassin. There is no shame in admitting you got it wrong. Good companies admit their mistakes and the public forgive them. Coca Cola and Apple (when Taylor Swift boycotted them) are just two. If you’re determined to sit it out for a year and wait for the listening figures, the humiliation will be far worse and you’ll have to sack Lewis Carnie and do some wholesale moving around of presenters. Hold your hands up. Move Jo Whiley to another slot. We understand all too well the mess the BBC has got itself into, with institutional misogyny around pay for women and so few women in top presenting jobs. Yes, we know the problem. We realise you have to sort it. But parachuting Whiley into Drivetime has not proved a solution. 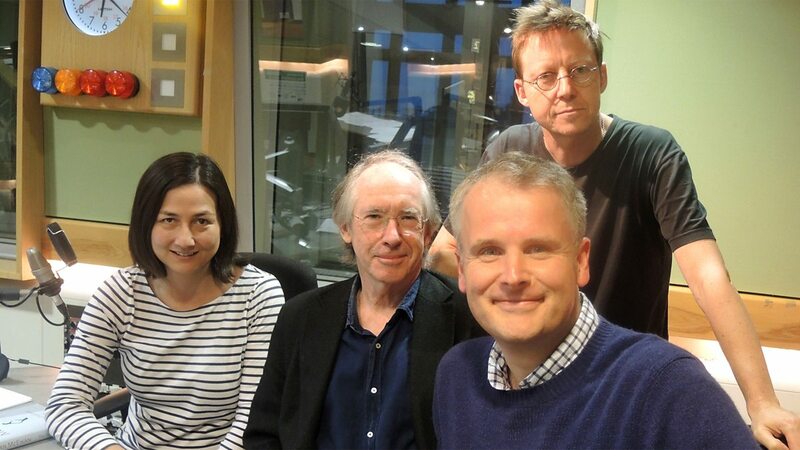 I have nothing against women on Radio 2. I love Liza Tarbuck and wish Sara Cox could replace Chris Evans. Janice Long and Annie Nightingale should still be on the airwaves. But Jo Whiley is not in their league. She’s a new music specialist, a DJ, and nothing more. As a Baby Boomer you know yourself we’ll never give up. We’re not going to let it drop over the next few months. We are furious that a successful show was changed, without any research. The justification given so far is lame in the extreme. “We want to attract younger listeners”. Yes, as if the baby boomer population isn’t already the biggest cohort in the UK. As if “younger” people would be lured over by a 53 year old. “The programme has been running for eight years.” Yes, and Ken Bruce and Steve Wright have been running a lot longer – and both of those programmes need refreshing. Please stop patronising the loyal listeners of Radio 2 and give us back what we want. Move Whiley to a 7pm slot, or do something with the horrendous Saturday morning schedule, and restore Matt, Nigel and all the other ingredients that made the original DriveTime show so special. This letter will also be published on my blog, https://www.isthismutton.com and shared via social media. Fabulous letter. It is an absolute disgrace what they have done, not only to the programme, but to Simon Mayo, who sounds like he just doesn't want to be there any more. The BBC controllers should be ashamed of themselves. Eloquently put and I'm sure it echos the feeling of thousands of listeners. Great letter, although I can't agree about Lisa Tarbuck, my radio goes off the second that she hits the airwaves!